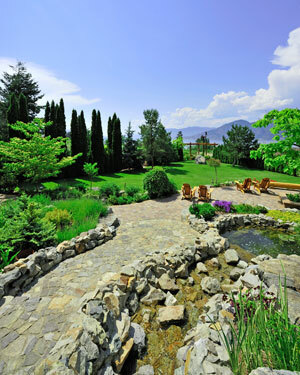 High on the Naramata Bench overlooking orchards, vineyards and Okanagan Lake sits Apple d'or. 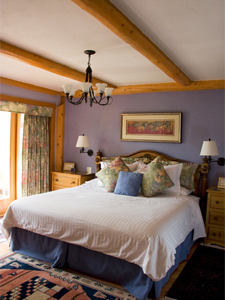 Originally an orchard, the Naramata Bed and Breakfast is named after the variety of apple that was grown on the property. 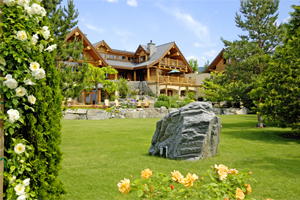 Apple d'or was ranked Canada Select's only Five Star property in the Okanagan. Within the 7,500 square foot haute couture log house the three Apple d'or guestrooms are elegantly and uniquely appointed suites featuring king size beds, luxurious bathrooms, kitchens, fireplaces and private individual patios, each with its own barbeque and stunning view of the lake below. The property also features a sun-heated swimming pool, large outdoor deck and hot tub all overlooking the Naramata Bench vista. 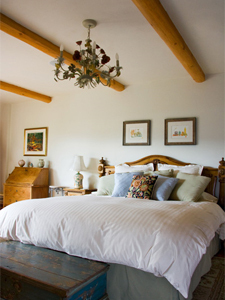 Overnight stays include a decadent breakfast either brought to your room or served upstairs on the patio or in the sun-dappled great room. The breakfast menu changes daily and features locally made cheese and pastries, home-made fruit compotes and a selection of fresh fruit, charcuterie, yogurt parfaits and more. We offer three luxurious and distinct king suites, all ensuite, each with a fireplace and private patio overlooking Okanagan Lake. 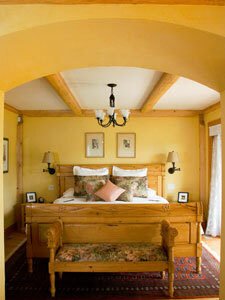 The suites are individually furnished with antiques and original art.